Work for AWS Elastic Beanstalk? AWS elastic beanstalk provides flexible, easy-to-use service for deploying and scaling web applications and service. It supports various platforms such as Java, NodeJs, .NET, PHP, Python, Go etc. User has an option to choose servers such as Apache, IIS etc. AWS elastic beanstalk has slow and unreliable deployment. It takes at least 5 minutes and stretched to 15 minutes for deployment. Elastic Beanstalk does provide any information on change of stacks. While it’s certainly not a perfect tool, if you’re looking to reduce system operations and just focus on what you’re developing, Elastic Beanstalk is a solid choice. We have hosted our weather app server on Elastic Beanstalk. The server accepts the city name or user location information and invokes third party APIs to get the current weather information for the specified location or user location. Good thing about AWS Elastic Beanstalk is we don't need to worry about server configuration. "Tricky to use, perhaps too many configs"
It seems like anything is possible and all growth trajectories can be planned for. However, AWS Lambda does a dramatically better job of achieving this. EB certainly has an excellent deployment API, version control, and integration with other AWS services. The configurations might be too numerous. For example, you're able to set up auto-scaling with nothing but very low-capacity instances. So if your volume spikes, like ours did, you'll start spawning off a bunch of new EC2 instances, each with only small maximum capacity. Just look into AWS Lambda first. Lambda is supposed to roll out Python 3 support soon (January 2017 at the time of writing). If you can't use Lambda, then take full advantage of the "swap URLs" feature to replace your production environment with your ready-to-deploy staging environment. Though we had to incur a huge amount of downtime (6 hours, and we're an ecommerce service provider, so that's an unacceptable duration), we did manage to account for dramatically higher scale with only a simple change. A technical error caused this change to require a lot of work and consultation with AWS support in order to remedy, but upgrading our EB configurations did in the end achieve higher scalability. "Fast start for web applications"
Elastic Beanstalk is a great product that provides tools for running you web application. You can deploy your application as archive or docker container. Elastic Beanstalk works on top of the AWS EC2 and provides autoscaling, logging, monitoring for you out of the box. Setting up docker application that works with database takes no more than 1 hour. Most of cases are well-documented. I think that AWS EB is good for start when you don't want to spend a time for setting up environment, load balancers and so on. And it suits mostly for single-container apps. You can set up different environments for one application: dev, testing, staging, live and so on. There is list of different deployment approaches. 1. Deploy from docker registries described too complicated in documentation: I've tried deploy app from Dockerhub and AWS Container Service. I've spend about 1 hour for setting up both of cases: there are a lot of articles in documentation that answers only on part of questions. But you can find very good screencasts on Youtube. 2. If you are setting up database via Elastic Beanstalk interface - it manages all issues transparently for you. And there are advantages and disadvantages here. Disadvantages: you can not change any settings, for example, you are not able to rename database. 3. As I said AWS EB is quite good for start. If you want to run one app - you have to run one instance of EC2. But if you want to run several apps on one instance - it would be difficult (if possible at all). I mean that you can't utilize resources well. 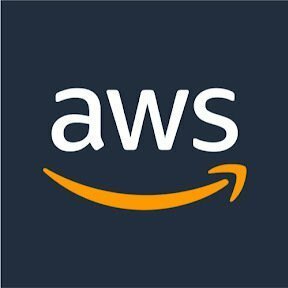 Pricing of AWS EB is not low, so if you are not planning to use other AWS services - consider another services such as digital ocean or google cloud. I've used AWS EB for web APIs. It was easy to start. EB provides blue/green deployment out of the box. "Simplifying the way you host and store your data!! " After working with a client that leverages Beanstalk across the entire organization, it's definitely helped the team scale, deploy new applications, and keep their environment more secure and accessible. Client has a history of looking to implement technologies that will ensure safety, reliability and availability of their data since that is their business. Everything I've heard, read, and interacted with suggests that Beanstalk was a good shift for their data, security, and costs. The customer interface gets a lot of flack in that people don't love using it, which to be fair I had heard and read from other beanstalk users but this was not a big enough reason not to use it, given that everything else met the criteria. As with everything from Amazon, TRY IT. Beanstalk is perfect for getting an application deployed with little effort and would be less suitable for applications that do not require load balancing. The solution was incredibly fast and enough to deploy and was agile enough to adapt quickly allowing the team to scale as needed. The move from on-premise to the cloud added a level of security and availability the group previously had not had access to. "Elastic Beanstalk - the easy button"
I love using EB. The simplicity of the code revision management and publishing makes it so easy to stay focused on development of the app and feature revisions. It auto-recovers when an issue occurs and puts all the infrastructure in place for me to scale the app on demand. It would be fantastic if the EB setup provided an option to do a custom URL for the published application instead of just generating a standard syntax URL like most of the AWS published service options. It's perfect if you don't know yet what degree of infrastructure design and planning is required for the application. "Fast to get setup and web service up and running"
Elastic Beanstalk automates the setup, configuration, and provisioning of other AWS services like EC2, RDS, and Elastic Load Balancing to create a web service. You can deploy service on docker or as a bundle/archive. All previous versions deployed are available for reference so you can refer them as needed for rollbacks or the case may be. This is good for developers who need a service up and running and don't want to worry about Load Balancer or EC2 setup. Just configure once for your service and you are good to go. There are health checks in place so beanstalk will turn green (if healthy) or red( if unhealthy). You may create specific beanstalk for each environment dev, test , performance etc. It autoscales based on triggers you specify like CPU utilization, current load etc. Sometime deployment fails and it may time some time to identify the underlying issue. Sometimes its a guessing game you may need to ssh into the box itself and then try to run the application from there to troubleshoot. You may not be able to rename the beanstalk once created. Go for it if you want Blue/Green Deployments available out of the box and especially if you are on AWS. Helps with our CI/CD. All our services are dockerized and on Beanstalk. We have placed in triggers to auto scale automatically based on traffic. "Good, low cost alternative to services like Engine Yard and Heroku"
If you're small, and are looking to keep your costs down, Elastic Beanstalk is a good (free) alternative. Not the easiest to get up and running. Engine Yard and Heroku were far easier for me. Great for reducing cost, if you have the stomach for working out the kinks while you implement. Took us about 2 weeks to get everything running smoothly. We're a small SaaS company, without DevOps expertise, so we need a managed cloud solution. "Easy for beginners, without much customization"
When using Node, the NPM packages are agnotic about the NODE version on ElasticBeanstalk, sometimes the deployments could fail. We had a scary moment about EB, when we deployed the new version of the code, the automatic NPM install causes some NODE error, and we could not successfully deploy the code forever. That was the reason we switched to use Kubernetes containers, which we can have control of the NPM packages, because everything is ecapulated in images. For whoever wanted to set up a website without much customizations, EB is a good start. "Outstanding PAAS solution for managing code and infrastructure"
I've been using Elastic Beanstalk since it was in beta and have seen the offering grow over the years so feel qualified to say this is a "must use" PAAS offering. It really abstracts the complexities of cloud horizontal scaling, load balancing and autoscaling in a simple to use framework. The API is also consistent and full featured. Monitoring is also included with a simple dashboard that shows the overall health of the environment. There's not a lot to dislike other than to really exploit the power of what you can do with Beanstalk, you have to understand what are the components under the covers (ie. load balancers, scaling, cloudwatch). It is a fantastic solution if you take the time to learn what is behind it. Look into what you can do with eb extensions in particular - they are incredibly effective. We run all of our web tiers on Elastic Beanstalk and the main benefit it gives us is being able to have a very small ops team for the number of services running. It also allows the developers to focus much more on the business logic of the app without worrying about complexities of how it is deployed. "Prefered platform for web fast web development"
The ability to group instances into environents and have related information about them. Also, having the ability to alert on those same metrics the environment provide. "One of the best products available"
The service is very flexible and adapts to the user's needs without doing many modifications. Their help and support is exceptional. They even refund your money if your instance gets public by mistake, and you get charged for unauthorized use. One of the problems is its vastness. IT has so many options and packages, that it is overwhelming for a newcomer. You have to figure out all the services that are offered, and which ones to take from amazon or get your own from outside. There are not much scaling variations, like if you want more CPU or Network. You could also look for Arvixe and Just Host for your needs. If you are looking for free services go to Heroku. It is a great service and provides many of the services you may need to host a website, or work on your code from anywhere. We have a cloud based application, and it solves the problem of computing something which requires heavy resources and not having a large device of your own. Also it is possible to access the machine from anywhere and start working on it. "Good for getting an application deployed in little time, not sure about the long run"
I like the integration with Docker, works like a charm. The setup is virtually null and you can easily have a failover, load balanced cluster on aws. I don't like the dynamic attribution of security groups: the names are random, so it's hard to understand what is going on. It's a proprietary technology and stack: so the guys at ansible for example refuse to build a module for it. For that reason I see it perfect for quickstarting proof of concepts project but then you better move away from it and build your own infrastructure with a configuration management tool. I'm implementing right now a bunch of proof of concepts / demos for a client, they might have spike in traffic and they have limited budget: Beanstalk is a good fit, setup is fast, learning curve pretty good and resilience of the infrastructure guaranteed. EBS is an easy to use service and allows setting up applications in no time at all. The best thing while deploying my php application was that I only needed to upload the files and the rest was handled by EBS. Since I've used it mostly for deploying basic php applications, I can recommend that it is a very useful service for those purposes. It might not be the best thing to use for something that needs customized services to run on your server. I have mostly worked on EBS for academic projects mostly for deploying php web applications and worker threads for handling queue requests. "Solid PaaS for .NET, Node.js and Containers"
Honestly, the best part of Elastic Beanstalk, aside from the language support, is the simplicity it offers my development teams in spinning up applications both for POC and production work loads. Once we setup the VPC's for the apps, its DEAD simple to create an environment and deploy code. In a few cases, we had code up and running in a secured PRD state in less than 1 hour. 1. Hour. Since it is based on other AWS technologies, such as CloudFront, EC2 and VPC, its shares the same limitations. You can resize and scale your instance types on the fly, but if you need to change your VPC or subnets, its a more destructive process. This is a minor gripe though as spinning up a "B" environment and doing a URL swap mitigates this and is shockingly easy - with zero downtime. If you're using it for linux-based applications, I would highly recommend using the container option rather than a native language. This not only simplifies your management of the environment, but it also allows your dev teams to benefit from all the reasons to use containers to begin with: ensuring all tiers are identical, managing dependencies, simplifying local dev, versioning, simplified deploys and etc. Its awesome. You'll thank yourself later. We're using this solution to allow some of our most agile development teams to host/develop web applications at break-neck speeds. This also allows our developers greater freedom over the platform without needing to rely so heavily on operations - which our operations teams appreciate. It also helps bridge the gap between the two teams in a more "devOps" way. "DevOps role in a use way"
Through the AWS console you can manage all your environments without pain. Sometimes there are some false negatives errors, where everything is fine with the application/environment, but the status on Elastic Beanstalk is degraded. We don't need dedicated sysadmins to take care of servers in a steady well-configured application/environment. DevOps developers can manage all servers resource using AWS console. "Easy to get started with"
It's very easy to get started with. My experience is with hosting a Scala application and being able to get up and running quickly (just upload a WAR file) with elastic horizontal scaling was ace. Deployments at scale. The "swap URLs" method of blue-green deployment didn't work very well for us. We served relatively few clients, but at a high volume. Much of our client traffic was going through a load balancer that cached the ELB IPs indefinitely. Therefore we saw traffic taking a long time to move over to the new ELB after a switch. The other alternative was a rolling deploy, but in that case there would be no way to halt it if something went wrong: you'd have to wait for it to be done, then roll back. Eventually we moved to CloudFormation for the extra flexibility it gave us. We now keep the ELBs "forever" and attach a new ASG on the back of it for release. We can scale this new one slowly up, whilst scaling the old one slowly down for a much more controlled release. Be sure it meets your needs regarding zero-downtime deployments. Consider how clients interact with your service. We were able to run economically on day-to-day traffic but scale horizontally when necessary for bi-annual sales when traffic would be orders of magnitude higher than usual for a few weeks without wasting resources the rest of the year. We were able to spin up like-production architecture and go through testing, then tear down and save money once testing was finished. This allowed us to do a lot more experimenting and thorough testing. It was feasible to have one test environment for long-running exploratory testing of nascent features without holding up regular testing for day-to-day releases. "Elastic Beanstalk is easy to use. " I like how easy it is to get up and running, while also allowing me to get into the nitty gritty. It can be slow at times and some of the settings are rather hidden. I use it to deploy custom apps I build for clients. Its easy to deploy with autoscaling, security and other features. It was a pain to troubleshoot some issues as the error messages are not very clear on what is going wrong. Very easy to deploy and maintain. Deploy applications for our customers to download some files and it is very easy most of the times. "AWS Experience in a Project"
Multi-zone failures happen, so if you can afford it, go multi-region too. Make it quicker than how it is right now. Simple,Easy to deploy any server side applications. Could improve its services by increasing its processing speed to deploy. "PaaS solution for customers website"
The best part of the solution is that customer was looking for a paas solution where he doesn't have to patch the OS. Elastic beanstalk fits his requirements perfectly. The limitation on the size of source code made the customer re-write all html pages and point to static content in S3 and had to move all static content to S3. Increase the size limitation on source code. Less work for team by not having to do OS patching. Developer is happy with CI/CD pipeline to edit website content with less hassle. "Easy way to migrate webapps from datacenter to Cloud"
This is a good step to move toward containers. "Great experience for the beginners"
Amazon provides easy-to-use and pay-as-you-go service in the form of Amazon Web Services (AWS), along with that it provides numerous add-on platforms to help the user to enhance his/her experience. For the beginners, its very easy to begin, as the documentation provided by Amazon is detailed and various other sources are present on the web that provides guidance to the user on how to use the services. Notification services(SNS) needs certain improvement. It will be better if there are some notification services to remind the user about the running clusters. Good platform providing cost efficient solution .Efficient features like load balancing, DBMS,Cloudwatch, SQS , leads to efficient use of the allocated resources.Enough resources present on the web for beginners to efficiently use the platform. Used the platform for designing a security system for network to find the cause of DoS(Denial of Service). One of the most striking feature is pay-as-you-go and load balancing feature, providing a cost efficient solution. great service that allows spinning up an application with minimal effort. works both with code and with docker containers. allows customization of the cloudformation stack. service can spin up a working production environment relatively fast. "A Daily AWS Elastic Beanstalk User"
Every possible requirement for running a large scale application made possible with AWS Elastic Beanstalk, Code Deploy to Elastic Load balancer, Security to Auto Scaling, Monitoring to Application LifeCycle Management, Simplicity for managing that complexity. If you want simplicity in your system, and want to use AWS Systems, you should definitely check AWS Elastic Beanstalk, it way better than trying to manage AWS Resources with custom solutions. Our systems are all on AWS Elastic Beanstalk, we are using in production for months without having a problem. You dont need a dedicated sysadmin/sysops to manage entire fleet. Manage our web infrastructure and applications on over 10 regions. "Simple managment of microservice applications"
We love that we can develope on docker locally and very easily deploy to beanstalk and be assured of a consistant application environment. Would like to be able to easily deploy new beanstalk environments via cloud formation. Beanstalk abstracts the managment of underlying docker hosts, elbs, etc. "Viable Alternative to Elastic Beanstalk"
Hands off PaaS-like deployment offers a viable option for people looking for a Heroku-like solution that costs less, offers more configuration options, and simplifies migration to a more managed infra solution later on. ELB hits the sweet spot of hands off virtual infrastructure, with additional control for those who want to dive deep. When I was looking to deploy a RESTful API to be used across my company, ELB was the easy fast option to get up and running. Investigating the configuration gave me great insight in to AWS best practices and how the various services work together. "Easy to use and integrate well"
"Easiest way to get your app online"
This is probably the easiest way for anyone to get their apps deployed with all the needed dependencies(security, ALE/ELB and ec2). I won't recommend it to be long term since I believe doing your own is better (Cloudfromation) but to get it up and running fast, this is the easiest. Am deploying dockerized app on this and I can only open 1 port so far. It's easily deploying our aps without the need to know to configure the differnt parts needed. "Useful but Lots of Catches"
I like the ease and friendly GUI that lets me modify system settings. Some configurations are not viable, cannot share a load balancer that already exists. Before you dive into EB see if your application would be better served as a container and use EB with a container deploy. If your application is containerized you also may have better satisfaction going straigh to EKS or Fargate. Hosting a high volume website with autoscaling and auto recovery. "Bring your traditional app into AWS in no time "
The prescriptive approach to deploying an auto-scaling application. It makes too many assumptions about which parameters I need set, like cipher suites in the load balancers. Quickly migrating already modular loosely coupled applications to the cloud. "Very nice experience with "
"It is convenient and easy"
it would help if there are deployment templates with application frameworks and packages preconfigured. ability to streamline deployment process. Nothing really. Its a little confusing to start. I love the ease of use of Elastic Beanstalk. It is the easiest service to lift and shift an on premise application into the cloud. The only thing that I dislike about Elastic Beanstalk is that you are at the mercy of capabilities of the Elastic beanstalk team. Takes a while for some integrations to get in. "Great way to get a server up and running in no time"
Really like the simple interface and the automatic configurations. Also, the auto scaling feature is a good way to make sure you have your bases covered without having to manually update configurations in EC2 dashboard. The teardown is a little combersome. Sometimes when you terminate an environment there are remaining artifacts from the the environment such as lingering security groups. Deploying and managing an API service. "Really easy to use and love the performance"
Keep an eye on the costs as you scale and compare pricing to the competition. Deploying and scaling our primary client service. "AWS elastic Beanstalk provided me with the best experience ever. " It has a lot of various options to choose from depending on what is it that you are looking for. I would recommend to explore it to its maximum potential as it has a lot of features for each kind of user and business role. I used it mostly for study and assignment purposes. I used it to create android based applications and cloud based solutions pertaining to my coursework. "Super easy to use and straightforward." The simplicity of use. I am not an IT person, but it was very intuitive to learn and use. You do not have to worry about scaling because it does it for you through its elasticity. Creating an instance is very simple. You basically just choose a few options and then hit a button and it does everything for you. Logging into the instance is easy as well. We wanted servers that would scale without direct interaction. We also wanted someone else to manage outages. Before we had to drive 2.5 hours away in order to change out any hardware, now they take care of these issues for us and it is suer easy! Elastic Beanstalk allows you to have a fully featured production environment up and running in no time. Great if you're a small startup! It forces you to take manual steps for the more sophisticated stuff. Cost of service deployment can be expensive. AWS Elastic Beanstalk saves time, cost and provide flexibility in server configuration. It provides powerful customization. Basic monitoring can be done by Cloudwatch for no extra cost. AWS Elastic Beanstalk fits in our requirement as we do not require much customization, so that could be one of the issue you you want to do customization. Automation in server configuration, which also saves time. The easy of use to host a .NET web application workload in the AWS environment while also leveraging all of the benefits of elasticity. The inability to host legacy .NET framework versions at this point but is not a dealbreaker. The ability to be elastic and have the reliability of hosting in AWS. "Great way to get started with AWS"
Beanstalk was a great way to get started with AWS. Using the AWS Free Tier I was able to learn and deploy an application using beanstalk within a few hours. I could have deployed the application faster if I had a better understanding of the json deployment syntax. Initial exposure to the product. "Excellent solution for scalably deploying apps"
The best part about beanstalk is that the infrastructure is largely managed for you, but you still have the flexibility to build and deploy whatever you want! Learning about AWS Elastic Beanstalk? * We monitor all AWS Elastic Beanstalk reviews to prevent fraudulent reviews and keep review quality high. We do not post reviews by company employees or direct competitors. Validated reviews require the user to submit a screenshot of the product containing their user ID, in order to verify a user is an actual user of the product. Hi there! Are you looking to implement a solution like AWS Beanstalk?